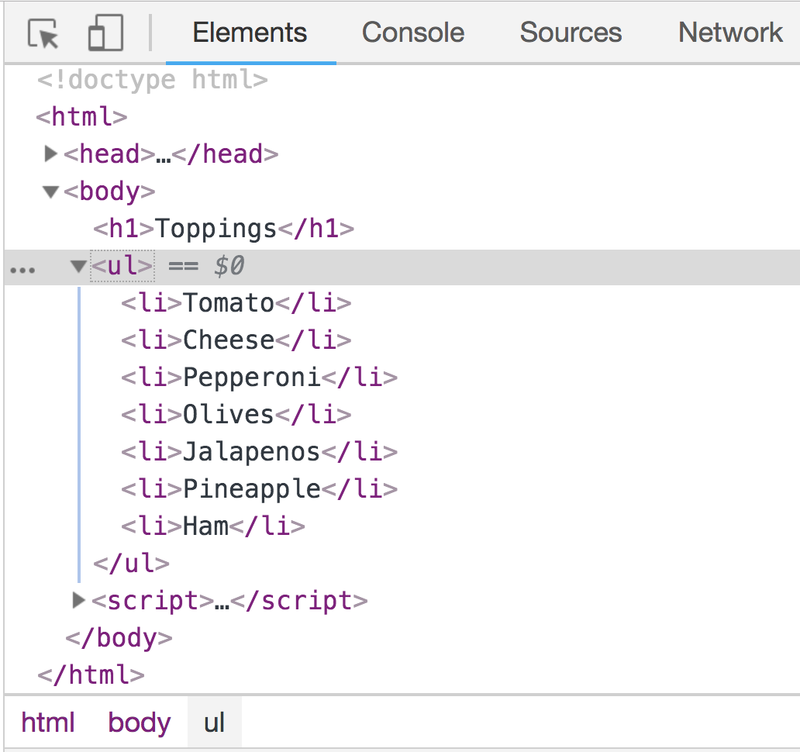 Now that you have good idea of how to create elements in the DOM, let's put all of that fancy book learnin' aside and get our hands dirty by writing some code. as a list item under the ul tag! If you preview this document in your browser, you won't see much. 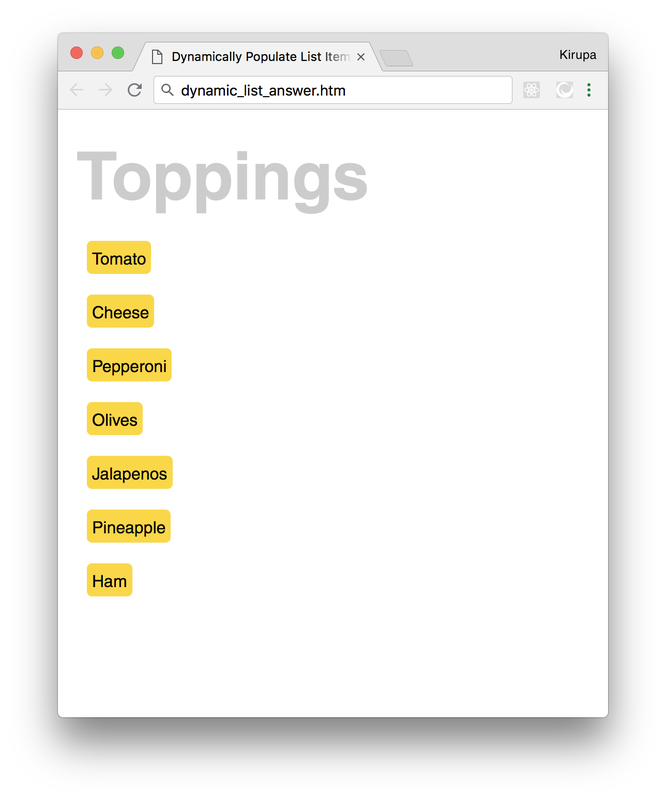 The task is for you to take the contents of the toppings array, create a list item for each one, set the list item's text content to the corresponding topping, and parent each list item under the ul tag that currently exists. At this point, you should have all the necessary information to get started. Now....ready, set, go! If you are still stuck, post on the forums and a bunch of friendly people will help you out. If you think you have a working solution, don't just keep it to yourself. Share it with others and get some feedback from others just like you. Post your solution to the following thread (you can see the answers if you scroll further down below) and see how your answer stacks up with what others have posted.